Mardones BPB | El Sur de Concepción - Egyptian Delegation Visit. El Sur de Concepción – Egyptian Delegation Visit. 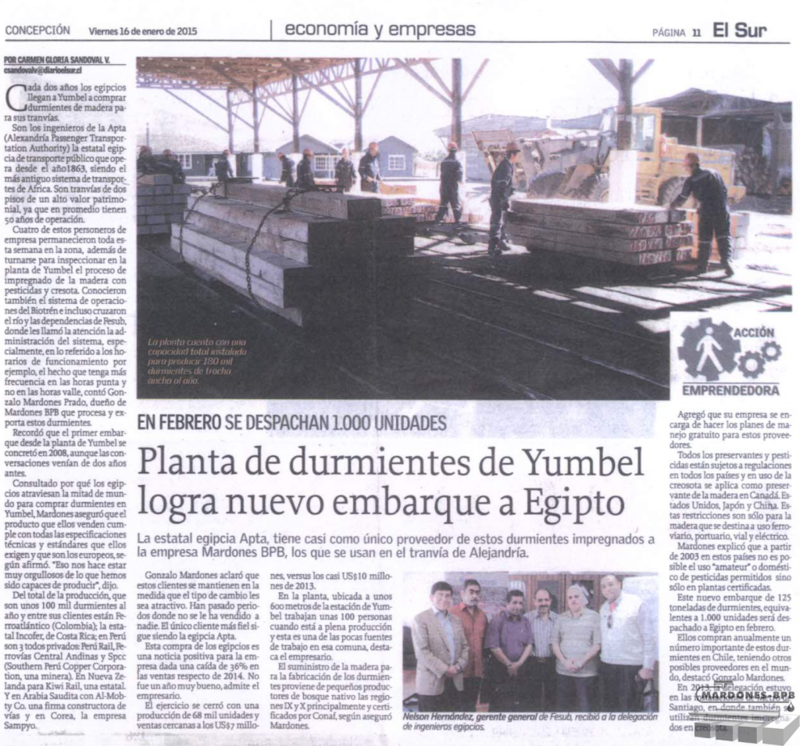 “El Sur” (Chile) Newspaper, article: APTA (Egypt) engineers tramway sleepers inspection at Yumbel Plant, January the 16th, 2015.